Switzerland will ban violent games in the future, thanks to a law that the country’s national council has just passed, says games newsite MCV. The finer details of how the law will play out aren’t clear. But the government now has the power to ban games that it considers violent. What could that include? It has been suggested it might mean all games rated 16+ and 18+ The orginal motion called for a ban on any title that “requires cruel acts of violence against humans and humanlike creatures for in-game success”. Um.. worrying? yes. That would make massively successful games like Modern Warfare and Grand Theft Auto become contraband goods and would lead to ridiculous discussion like whether the zombies in Left 4 Dead count as humanlike or not. Games have been gaining increasing recognition for their art and intelligence. But despite events like the Games Baftas on Friday, there seems to be a bit of a backlash to games at the minute – witness this front cover story in the UK’s Observer magazine two days ago: Video Games the Addiction which recounts an addiction to GTA. 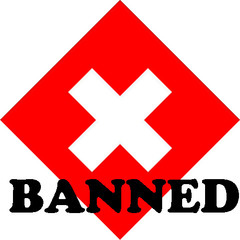 Banning games surely isn’t going to work, anymore than banning books or films did back in the early 1900s. It’s obviously more of a token. What are they going to do? Raid sitting rooms? They can take games out of shops, but they can’t curtail internet retial in the same way. Maybe the members of the Swiss National Council should be sat down with an Xbox and made to understand the differences between real life and virtual life. this is really a very good news to know.i liked it very much.the kids of Switzerland can play 3D virtual world kids games if they want.thanks for the post.